I’m using esp-01, I have connected 3 pins: 3.3 V, ground, GPIO0. Please advice, what I am doing wrong. Without delving into code too much… Try to use the only really freely available pin on ESP-01 (the GPIO2) and do not forget about pull-up resistor on DIO line. The GPIO0 might be used, but with some care taken as it is used as a bootloader pin. I have an ESP-01 running a DHT12 (GPIO3), a DS18B20 (GPIO2) and controlling a RGB LED Ring (GPIO0)… so a few more then just one pin usable. I use OTA for any programming, but it is also wired for a TTL-USB adapter in case I goof up the OTA. I use GPIO2 for my DS18B20 and I power mine via the parasitic method. My particular sensor wants the 5v line in order to function (@DoMoney - that might be your issue as well?) , but since it is feeding through a 4.7K resistor there is no concern. As a neat trick, I even have an LED (white - no resistor) across the data and 3.3v line… so it actually pulses quickly everytime the temperature is reading. so a few more then just one pin usable. The GPIO1, as the last one too… Although a LED is connected here, but it works as a GPIO - if you know how to handle them all. Yes, he problem was in V4. Thanks a lot for your help. 35,500 C, 35.750 C, 36,000 C.
Due to the properties of chart fidget, I have set the format “#.#”, but it doesn’t work. Can someone explain, is it bug of widget or not? Again I have a problem. I have changed the esp, as the last one was crashed. The thermal sensor ds18b20 is connected by 3 wires and I have used 10kOhms resistor. All was working great. everything is the same, but I have connected VCC with EN(CH_PD), because the esp didn’t start without it. But the temperature is showing -124.5. (converter ) without putting it into the laptop, all is working fine. Can U explain to me, what I am doing wrong. I don’t understand what you are referring to here. Different power sources? Different way of programming? What is different? And “all is working fine”… means what? That the temperature reading is correct when you are plugging into a programmer (TTL-USB)… but not actually powering or programming it (No USB connection)?? The difference is in power led of esp and that I have to connect CH_PD to VCC to start the esp. Power source is the same, the code is the same. When I’m inserting the module into TTL-USB, the measurement is correct (TTL-USB module isn’t inserted anywhere). When I’m unplugging it, I’m receiving the temperature -124.5. Please advice. The LED is just a manufacture thing… but probably an indication of one of the newer 1 Mb models. 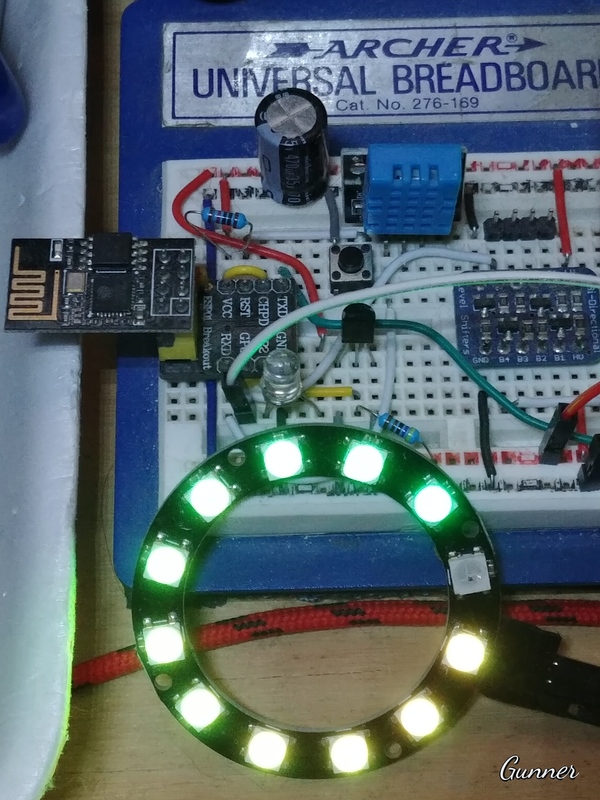 The CHPD (Chip Enable) should have ALWAYS needed 3.3v in any model that I have used. Look, regarding CHPD, at my previous esp-01, I didn’t need to connect the CHPD with VCC and all was working fine, in this version it doesn’t - so I have connected them. Regarding the power, the problem isn’t at power, as all was working good with the prvious version of esp. Regarding TTL-USB converter, I don’t plug it into computer, so the power is going from separate PSU directly to esp. 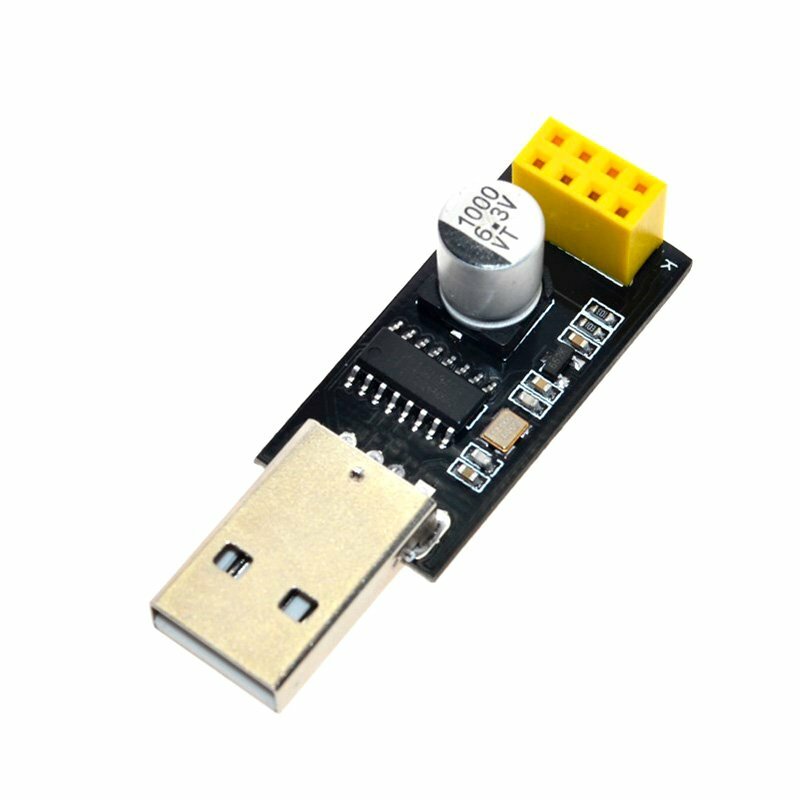 TTL-USB converter is just in air. I beleive, it’s connecting some addition pins at esp and due to this, all is working good, when esp is inserted into converter. I think you need to supply a diagram, and possibly some clear photos, of your setup. Now, because you are using GPIO0, which on the USB companion board MOST PROBABLY is pulled up with a resistor (10K?) AND you say it is working, THEN perhaps changing the 10k resistor you had connected to sensor with 4,7k or even 3,3k (better on longer line and 3,3V supply) will do the job?? I was simply pointing out what every diagram and even espressif themselves indicate in the datasheets - the Chip Enable Pin is active HIGH. Regarding the power, the problem isn’t at power, as all was working good with the previous version of esp. I beleive, it’s connecting some addition pins at esp and due to this, all is working good, when esp is inserted into converter. There is only so many pins to work with… Your TTL-USB clearly changes something, so determine what and you may have your answer. Change the pin used for the sensor, try both power delivery methods for the sensor (parasitic and direct), try both 3.3v & 5v for the sensor, try a different sensor… This is not something we can look over your shoulder about.